On August 18, 2016 it was released that construction on the Block Island Wind Farm is complete. The 30-megawatt project off the coast of Rhode Island will be commissioned by the end of the year. 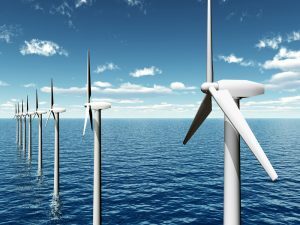 U.S. Secretary of the Interior Sally Jewell and Bureau of Ocean Energy Management (BOEM) Director Abigail Ross Hopper recently announced a proposed lease sale for 122,405 acres offshore North Carolina for commercial wind energy leasing. A Proposed Sale Notice and Request for Interest for Commercial Leasing for Wind Power on the Outer Continental Shelf Offshore North Carolina, published in the Federal Register, includes a 60-day public comment period ending on October 17. Comments received electronically or postmarked by October 17 will be made available to the public and considered before the publication of the Final Sale Notice, which will announce the time and date of the lease sale. This article was originally posted on Ecomagazine.com.